That extra pilot, who was seated in the cockpit jump seat, correctly diagnosed the problem and told the crew how to disable a malfunctioning flight-control system and save the plane, according to two people familiar with Indonesia’s investigation. The next day, under command of a different crew facing what investigators said was an identical malfunction, the jetliner crashed into the Java Sea, killing all 189 aboard. The previously undisclosed detail on the earlier Lion Air flight represents a new clue in the mystery of how some 737 MAX pilots faced with the malfunction have been able to avert disaster while others lost control of their planes and crashed. The presence of a third pilot in the cockpit wasn’t contained in Indonesia’s National Transportation Safety Committee’s (NTSC) Nov. 28 report on the crash and hasn’t previously been reported. The so-called deadhead pilot on the earlier flight from Bali to Jakarta told the crew to cut power to the motor driving the nose down, according to the people familiar with the investigation, part of a checklist that all pilots are required to memorize. “All the data and information that we have on the flight and the aircraft have been submitted to the Indonesian NTSC. We can’t provide additional comment at this stage due [to] the ongoing investigation on the accident,” Lion Air spokesman Danang Prihantoro said by phone. The Indonesia safety-committee report said the plane had had multiple failures on previous flights and hadn’t been properly repaired. 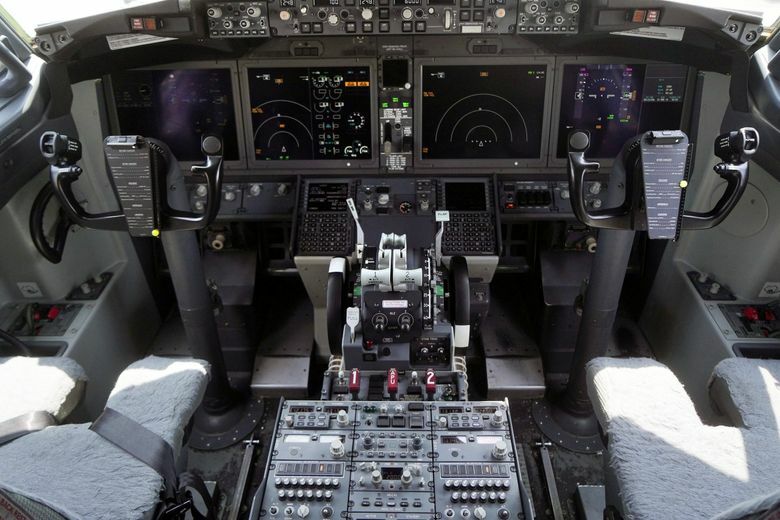 After the Lion Air crash, two U.S. pilots unions said the potential risks of the system, known as the Maneuvering Characteristics Augmentation System, or MCAS, hadn’t been sufficiently spelled out in their manuals or training. None of the documentation for the Max aircraft included an explanation, the union leaders said. The Allied Pilots Association union at American Airlines Group also said details about the system weren’t included in the documentation about the plane. After the Lion Air crash, the FAA required Boeing to notify airlines about the system and Boeing sent a bulletin to all customers flying the Max reminding them how to disable it in an emergency. Authorities have released few details about Ethiopian Airlines Flight 302 other than it flew a “very similar” track as the Lion Air planes and then dived sharply into the ground. “After this horrific Lion Air accident, you’d think that everyone flying this airplane would know that’s how you turn this off,” said Steve Wallace, the former director of the U.S. Federal Aviation Administration’s accident-investigation branch.